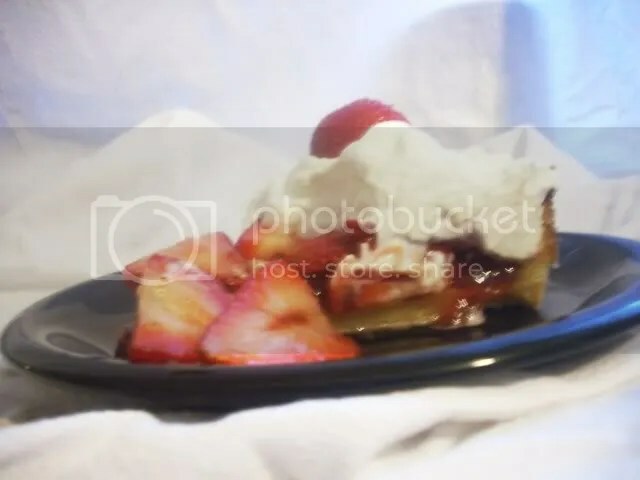 This week’s Tuesdays with Dorie recipe, La Palette’s Strawberry Tart, was chosen by Marie of A Year In Oak Cottage. This is my first week with TWD – I am soo excited! I have a confession to make – I have never made a tart – gasp – because….well, confession #2 – I am scared of anything with a crust. Whew, I feel much better now! La Palette’s Strawberry Tart – a perfect welcome to summer. Of course, its been sweltering here in Florida for some time now, but if you want to be technical, summer is on its way. I have never made any pastry in my food processor, so I was like a little kid watching a magic show when all of the ingedients suddenly, magically formed dough, right before my eyes with just a few pluses of my fingers! How much easier could this get? Of course, life would have probably been a little easier had a actually owned a tart pan. But, I winged it with a springform pan. Dorie mentioned that the tart could be rustic, so I took her at her word! My husband and I both enjoyed it every much – the buttery crust was so rich, and yet the dessert was so light at the same time. Again, magic! I am looking forward to many more baking adventures with TWD! 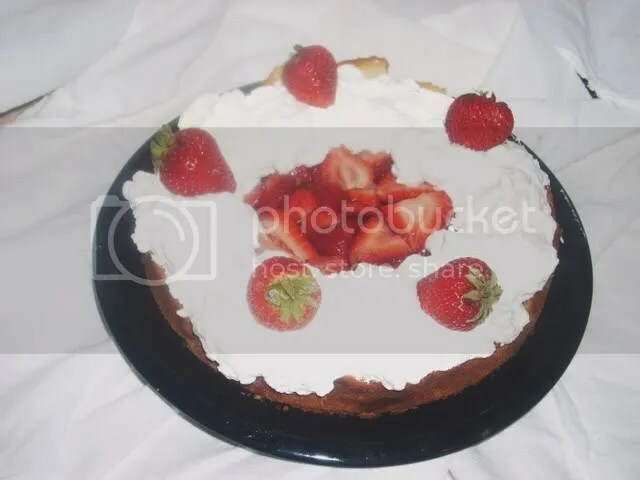 This entry was posted in baking, Food, Recipe Listing and tagged baking, Strawberries, Tart, Tuesdays With Dorie. Bookmark the permalink. Oh, that does look very summery and delicious. What a way to enter the TWD group with a huge success…looks great! Yay Pam! Your first challenge! woo! 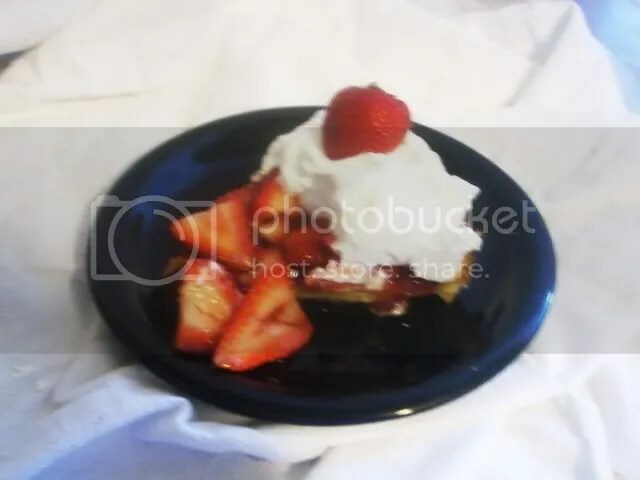 Your tart looks great! I bet Daniel loved it. This looks really good! I missed the challenge this week, but It looks so good, I think I will go ahead and do it along with next weeks challenge. Great work! Welcome to the group! Your tart looks delicious! Yes it was a very light dessert! Looks great! BTW, I’m really enjoying this blog! !